We are working with some of the largest advertisers and boldest challengers in the Nordics. The challenges are as unique as the clients. Here’s what our customers are saying. Contact us if you want to start a conversation around how we can help you elevate your business. If you are an existing client and would like to submit a testimonial, contact us here. "Within our existing ecosystem of marketing partners, Peregrine has been responsible for evaluating and improving our marketing processes. 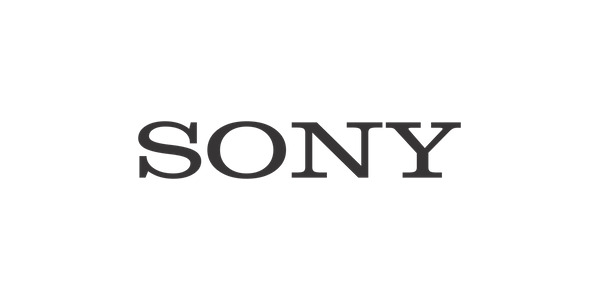 By delivering a clear roadmap for execution, Sony Mobile Communications has improved their marketing capabilities in the Nordic market by adopting a more efficient way of working. With a strategic mindset and a tactical approach, Peregrine has proven to be an agile, dedicated and trusted partner that delivers change at speed." “Peregrine has been a valuable partner in one of our digital transformation projects for all dealers in Sweden. With a professional, efficient and personal approach, Peregrine has accelerated the process and delivered results with high quality, involving all stakeholders along the way. Peregrine are strong at both a strategic and tactical level and have been a critical asset to our team. We will continue our partnership in 2018." "Peregrine is our Strategic Marketing partner and has together with our team defined our long- and short term roadmap covering technology-related areas such as Data Visualisation, Analytics, Media Buying Technology and Creative Platforms. The project also addressed capability-related areas such as Marketing Processes and ecosystem of Partners. With the combination of strategic and tactical expertise, Peregrine has both developed our digital strategy and enabled short term wins. We will continue to work with Peregrine as a digital partner." “When we decided to put more effort into marketing and increase our digital and online presence, we also concluded that we did not have the inhouse competencies to lay out a roadmap to get from where we were to where we wanted to be. We therefore entered an agreement with Peregrine to assist us create the Roadmap and the implementation plan. “We engaged the Peregrine team to help us set up a comprehensive digital marketing strategy, leveraging our existing technology while modernizing some of our marketing processes. Due to some recent changes in the marketing team, we needed a capable interim solution to drive our ambitions forward. After some foundational work (clean up and consolidation of various social outlets, the setup of new marketing and advertising channels as well as configurations of our marketing platform & CRM), our partners at Peregrine prepared a content, marketing automation and advertising plan we use to generate demand for our products and increase sales. Peregrine helped us grasp the complexity and opportunities of our digital lead-to-sales touchpoints, and even played an integral part in recruiting our new Head of Marketing who will take it from here."